Seriously… NOT F*CKING AROUND….what a flavor on this cheese!!!! Ramps are only here for such a short time! What a way to celebrate their uniqueness and honor their presence. I had the opportunity to forage for ramps with my friend on her hillside- what a divine way to connect with the planet….spring has finally sprung. When totally creamy and smooth, remove to a glass or stainless steel bowl and set in a safe, warm place- I place mine in the dehydrator uncovered at about 100 degrees and let it run overnight. You could also in lieu of a dehydrator, place it in a warm spot in your kitchen, loosely covered. Leave this overnight or for 24 hours. Mix in the salt, onion powder, sundried tomatoes, ramps, coconut oil (should be room temp and soft, not liquid), and lemon juice. Transfer to a container and place in the fridge for at least 6 hours to set, best, overnight. It becomes a beautiful, spreadable, creamy cheesy bit of awesomeness. 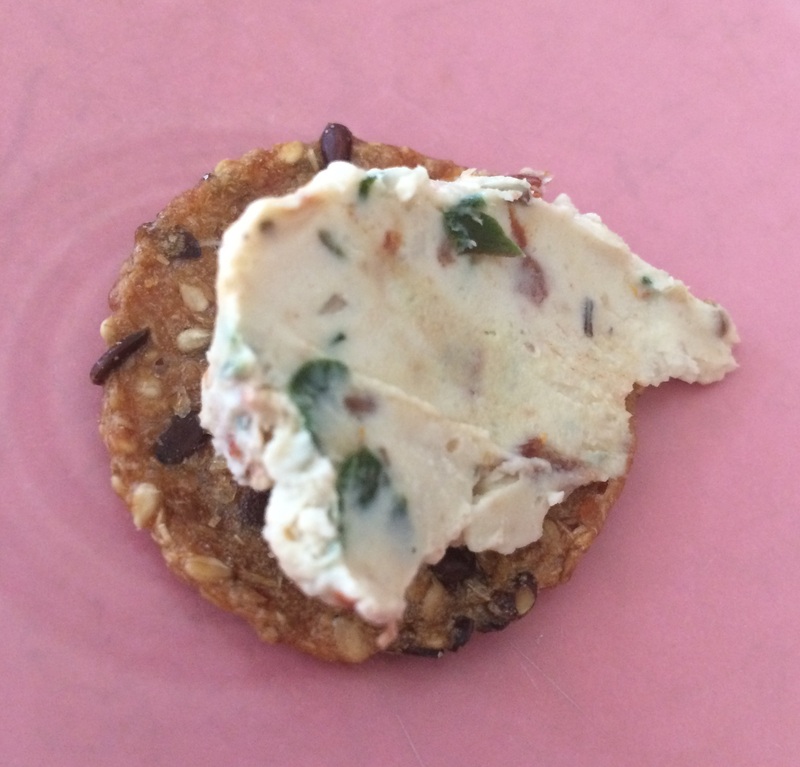 This entry was posted in cheese like foods, spreads and sauces and tagged antioxidants, cashews, cultured food, dairy free, fermented foods, gluten free, probiotics, ramps, raw, sundried tomato, vegan cheese. Bookmark the permalink.